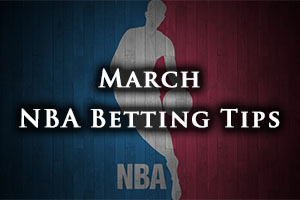 There were some big results on Wednesday night in the NBA but you’ll find that Thursday has plenty in store, so make sure you get involved if you are looking to be on the NBA. The Cavaliers dealt with the Nets at home by a score of 117-92 while the Heat edged out the Trail Blazers by a score of 108-104. The Celtics slipped up away to the Thunder, losing by a score of 122-118. The Bulls handled the Pacers in Chicago, winning by a score of 103-86 and the Clippers were road winners, defeating the Kings by a score of 105-116 in Sacramento. The Warriors dealt with the Hawks 114-95. The 76ers grabbed a home win against Detroit, downing the Pistons in Philadelphia by a score of 94-83 and the Raptors overcame the Timberwolves by a score of 105-100. The Mavericks won at home versus the Magic by a score of 107-102 and the Spurs won away in Milwaukee, defeating the Bucks 103-114. The Jazz slipped up at home, losing to the Wizards by a score of 84-88. The Houston Rockets have had a strong season so far and a lot of this is down to the fact that all of the team members have pitched in at various times. This has allowed James Harden to feel confident about the team’s performances even if he is going through an off-night. The Rockets haven’t had too many off-nights against the Nuggets recently and they are looking to complete a four game sweep against their opponents in this one. The Nuggets hold a 26-42 record which includes a road record of 10-23. They lost their most recent, a 92-81 defeat in Memphis on Monday and in their last 10 outings, they have a 6-4 record. The Rockets also hold a 6-4 record in their last ten games and in their most recent game, the team from Houston grabbed a 107-94 win over the Magic. The Rockets hold a 45-22 record so far this season and this includes a home record of 25-9. For average points scored, the Rockets lead by 103.1 to 100.2 and for average points allowed, the Rockets are ahead 99.8 to 103.6. The Nuggets have big concerns over Darrell Arthur while they have minor concerns over Ty Lawson, Kenneth Faried, Danilo Gallinari, Wilson Chandler and Randy Foye. The Rockets are without Dwight Howard while they are closely monitoring the fitness of Jason Terry and Patrick Beverley. Taking the Rockets at -8, at odds of 1.90, is likely to be a sound bet. Bet Now! At this moment in time, you have a number of players playing for their NBA future at March Madness but the outcome of this game, and the form of these two teams, may decide where some major players are heading next season. Two big players tipped to shine at the March Madness event include Karl-Anthony Towns from Kentucky and Jahill Okafor from Duke and they might find that the loser of this game gets the best chance of grabbing the first pick in the draft taking place in June. This means that there is an awful lot that is riding on this game, for an awful lot of people! The Timberwolves have a 14-53 record with a 5-28 record on the road. 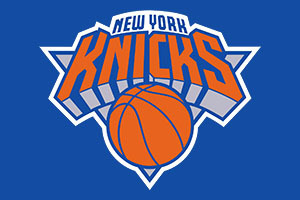 The Knicks also have a 14-52 record and this includes a 9-23 record at home. The Timberwolves are on a losing streak of 6, including a Wednesday night loss in Toronto when the Raptors won 105-100. However, the Knicks won their most recent game on Tuesday, defeating the Spurs 104-100. For average points scored, the Timberwolves lead 97.8 to 92.4 and for average points allowed, the Knicks have the advantage 101.3 to 106.0. The team from Minnesota are closely monitoring Justin Hamilton and they have bigger doubts over Anthony Bennet, Nikola Pekovic, Kevin Garnett, Gary Neal, Ricky Rubio and Justin Hamilton. The Knicks are monitoring Cleanthony Early while Jose Calderon is a doubt. This is likely to be a close affair but taking the Knicks, even with a modest negative handicap is likely to be a sound bet. Bet Now! The Pelicans are involved in a pretty tight race for the last play-off spot and this means that every game is important to them. The Suns have had a rough time of things, struggling to find form after the trade deadline, and this could be a game that sees two teams toiling to deal with the pressure that they are currently under. The Pelicans have been in decent form though since mid-February though and they are now just a half-game behind the Thunder in the race for the 8th seed in the West of the NBA. The Pelicans have a 37-30 record going into this game and this includes a 14-18 record away from home. The Pelicans won their most recent game, defeating the Bucks on Tuesday by a score of 85-84 and they have a 7-3 record in their last 10 games. The Suns have a 35-33 record going into this one which includes a 19-15 record at home. The Suns also won their most recent, a 102-89 Sunday win over the Knicks and the team from Phoenix has a 5-5 record in their last 10 outings. For average points scored, the Suns lead 104.6 to 99.7 yet for average points allowed, the Pelicans lead 99.0 to 104.2. The Pelicans are likely to be without Ryan Anderson and are monitoring Anthony Davis and Tyreke Evans. The Suns could be without Brandon Knight and are watching the fitness of Alex Len closely. This could go either way but taking the Pelicans to win, even with a minor negative handicap could pay off. Bet Now!